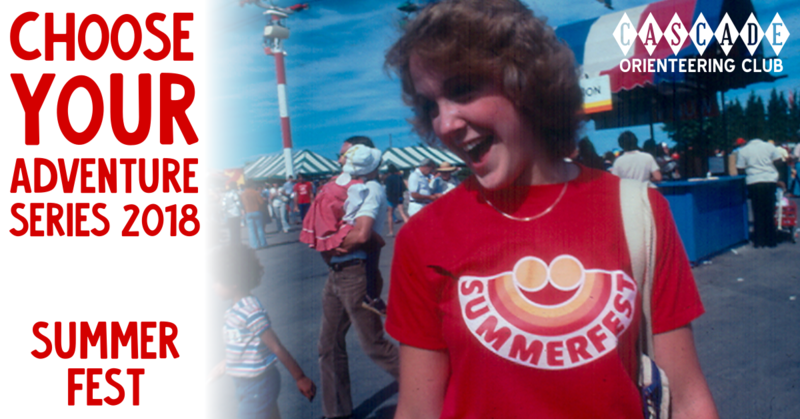 Choose Your Adventure #1: SummerFEST! At Choose Your Adventure events, everyone gets the same map with checkpoints marked all over it. Find as many checkpoints as you want, in whichever order you want! Choose Your Adventure is especially good for beginners, since if you can’t find a checkpoint, you can just skip it and keep going. Veterans are challenged by trying to identify the most efficient route to find all the checkpoints. There will be two options this year! There is a one-size-fits-all course for beginners through advanced runners. Everyone will receive one map with 24 checkpoints scattered throughout Fort Steilacoom Park, and you may visit as many or as few as you want, in any order you want! There’s a time limit of 75 minutes. NEW! Since we’ll be there all day, we’ll allow people to start anytime between 11:00am and 4:30pm. There’s a FREE orienteering demo course, which will feature a small map with 5 checkpoints to visit. Get ’em all and we’ll stamp your SummerFEST “Passport to Sports”, which you can pick up for free at the SummerFEST headquarters tent. Receive passport stamps at each of the sports activities, which enter you for raffle prizes! There is no time limit. All checkpoints are worth the same amount: 1 point per checkpoint. For the full Choose Your Adventure course, the maximum score is 24 points. There’s a time limit of 75 minutes, and for every minute late, there’s a 1 point penalty. For the FREE orienteering demo course, you’ll need 5 points to have your “Passport to Sports” stamped. There is no time limit. When the course designer was last at the park on July 2nd, there were two areas near the start that were closed off by temporary fencing. One is the construction of a new building, and the other is a larger open area where they were removing some vegetation and chopping up a bunch of logs. Both of these areas are mapped as out-of-bounds, and showing the fences as they were on July 2nd. However, the projects may be completed by the event day. This should not affect any checkpoint placements or routes, but be aware that there may be some out-of-bounds areas that no longer exist. Additionally, there will be a LOT of temporary SummerFEST stuff near the start (food trucks, tents, trampolines, bouncey houses, etc). Some of the checkpoints are on permanent features near the start. SummerFEST activities will be going on all day at the park! There’s a LOT of stuff going on, including a triathlon, 5k & 10k trail runs, a car show, yoga, live music, food trucks, dog contests, trapeze & trampoline shows, an international festival, children’s activities, sports, a movie on the big screen, and more! Check the link for a detailed schedule! For orienteering, come find the Cascade Orienteering tent near the west end of the soccer fields, north of the music stage. 11:00am: Registration, instruction, and starts open. 4:30pm: Registration, instruction, and starts close. 11:00am: Instruction and starts open. 5:45pm: Instruction and starts close. This event will feature old-school paper punching, no electronic scoring. SummerFEST is a big event drawing thousands of people. There will be parking in the parking lots and fields in the park. Follow signage to SummerFEST parking. 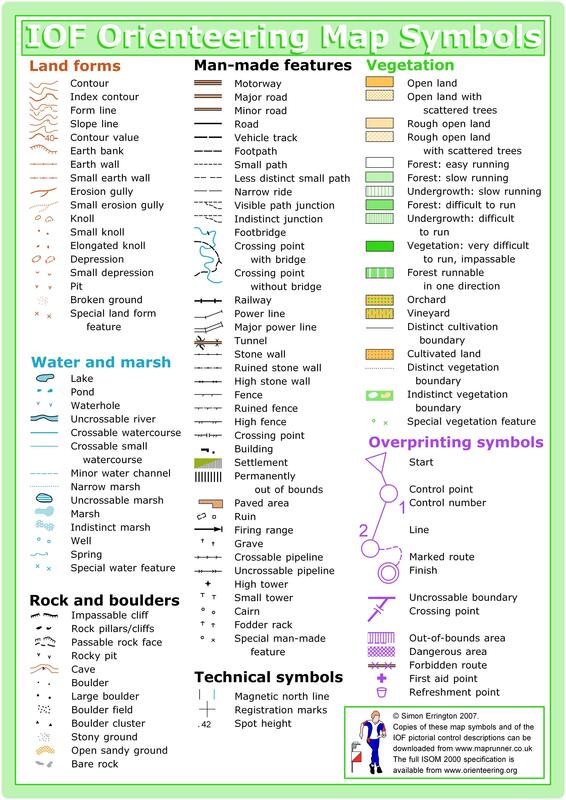 There is no specific parking for orienteers, and we won’t have our usual signage in the park. Look for our tent on the west end of the soccer fields!